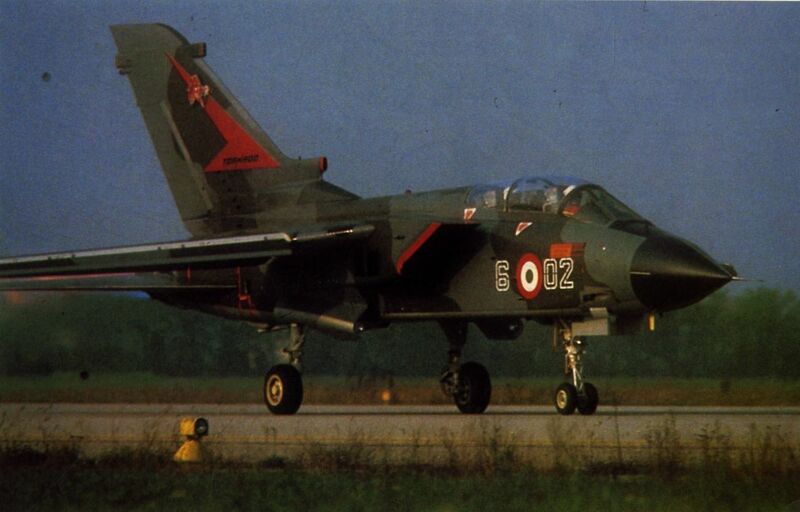 A mixed group of production and development Tornadoes at Caselle Nord, where Aeritalia has responsibility for final production of the Italian-built Tornadoes. Eight years after the first production G.222 was flown, this aircraft remains of major importance to Aeritalia's Transport Aircraft Group, the latest variant to fly being the G.222RM for navaid calibration. 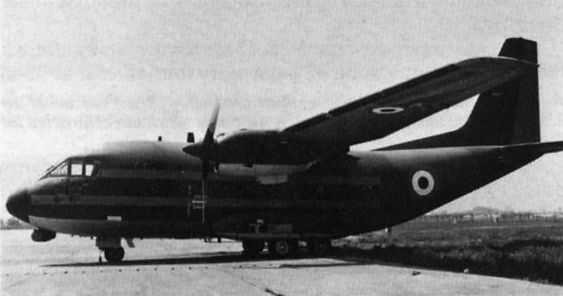 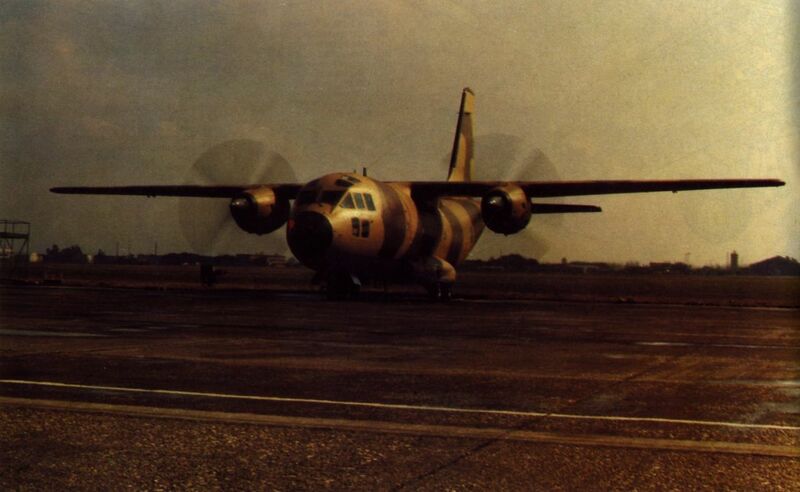 Production of the Tyne-engined G.222T for Libya continuing and 15 versions existing or proposed. 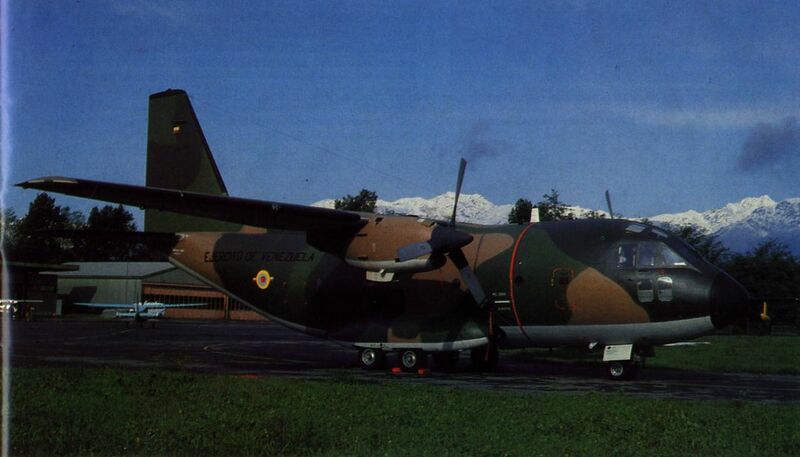 One of the latest export customers for the G.222 is Venezuela, one of two aircraft for the Venezuelan Army being illustrated. 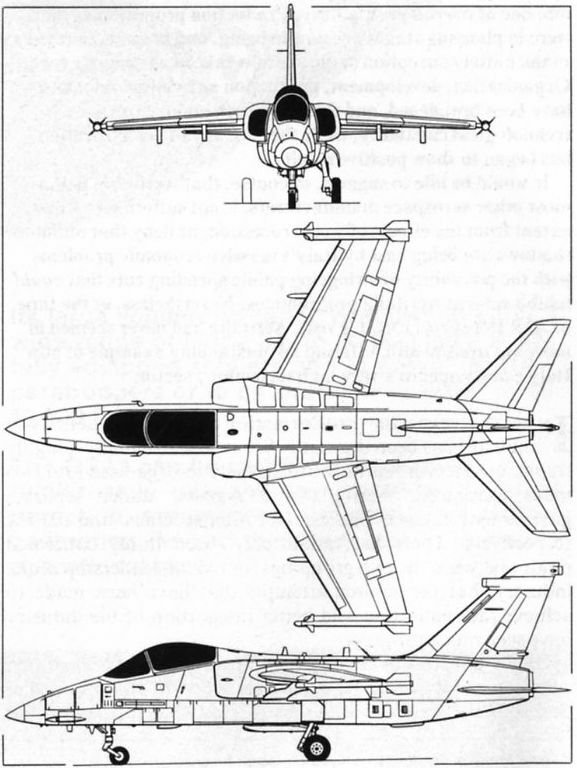 The Venezuelan Air Force has also ordered six and has a requirement for six additional aircraft. 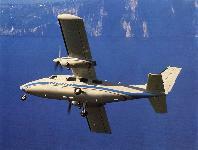 Another recent purchaser is the Nigerian Air Force which has contracted for five G.222s. 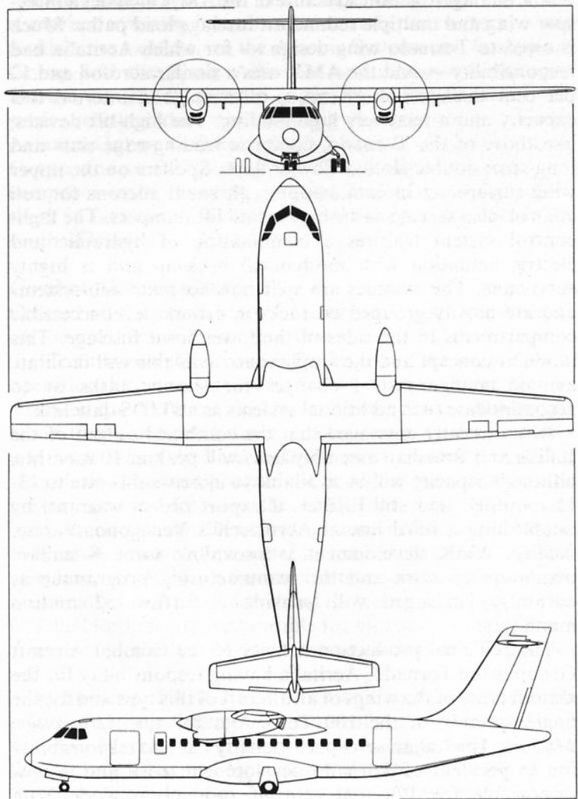 The most important export model, numerically, is the Tyne-engined G.222T for Libya. 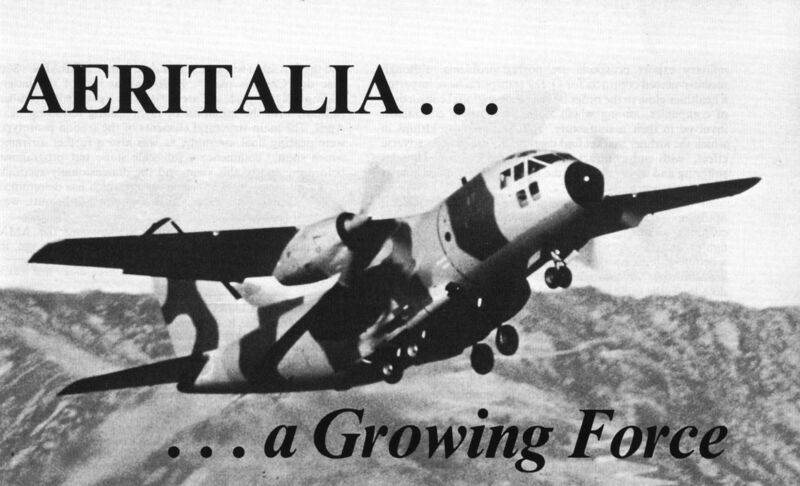 The Aeritalia/Partenavia Spartacus is the latest extrapolation from the original P68. 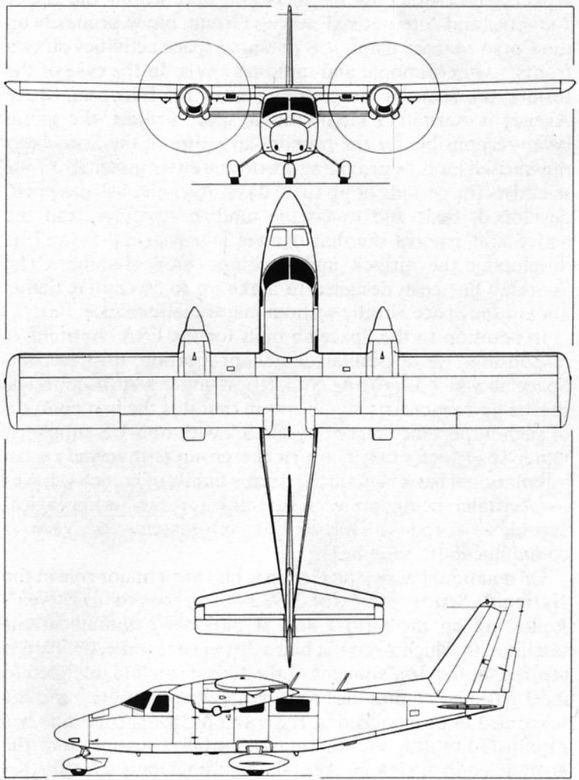 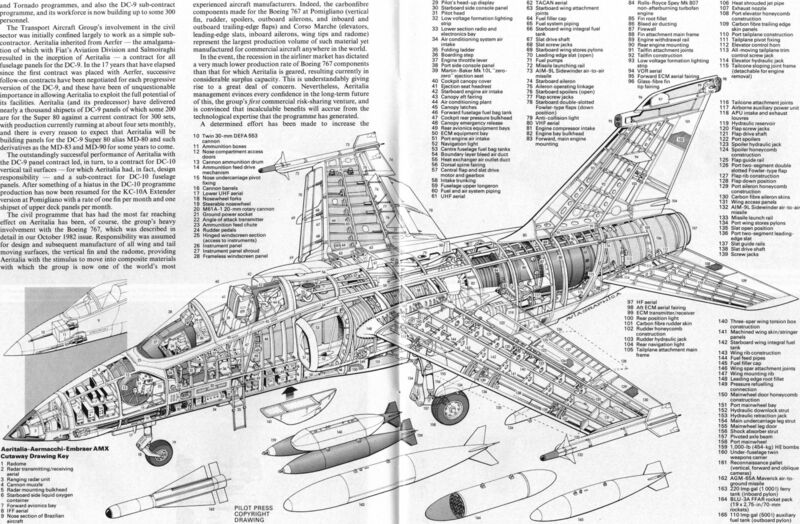 It is distinguished by turboprop engines and a revised tail unit, after difficulties were encountered with an all-flying tail used on two prototypes. 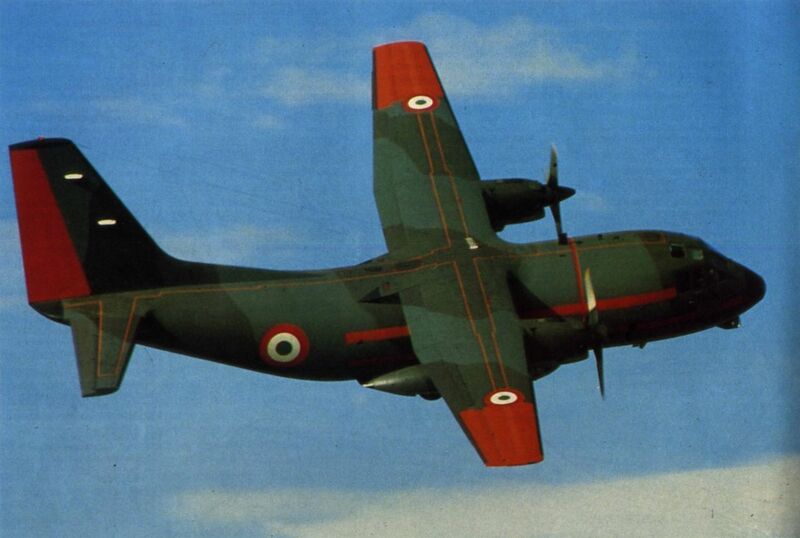 Also still in production is the P68 Observer, an earlier piston-engined variant offering excellent forward visibility. 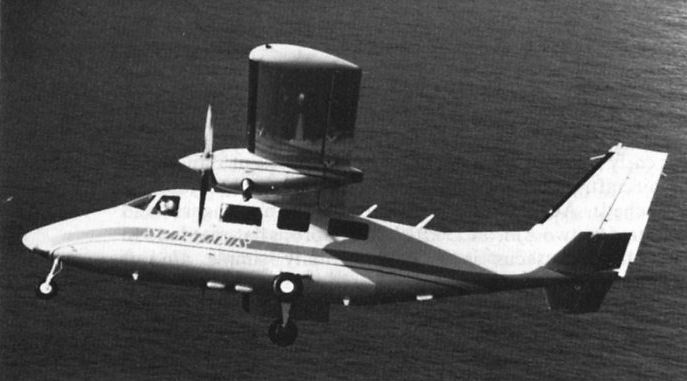 The AP68TP/300 Spartacus, shown here in definitive pre-production form, will begin to reach customers early next summer.